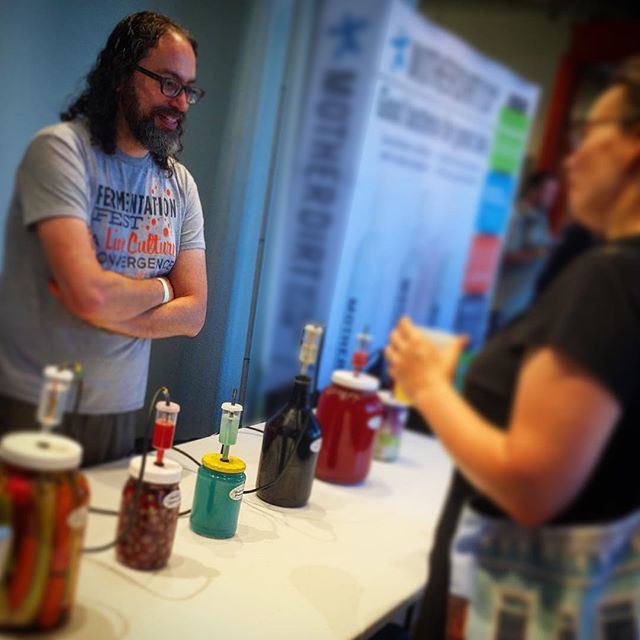 Fermentophone was featured at the 2016 Boston Fermentation Festival. So great to share it with tons of fermentation lovers from all over New England! Listen to the interview with me at the Fermentation Festival here. I was especially proud of how my Harvest Moon Kraut came out – I’ve been trying to make my “art” ferments even more visually appealing to better complement the soundscape.